Ivory Bar Soap is free of dyes and heavy perfumes, Ivory provides a simple, yet effective clean for the entire family (without breaking the bank!). 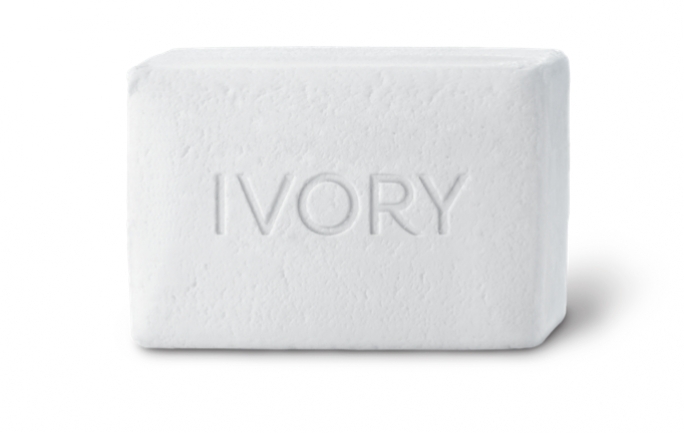 Ivory bar soap is 99.44% pure (it floats!). Beyond using it as a body cleanser, many of Ivory's loyal users – not to mention a few celebrities – swear by Ivory as their beauty secret. In fact, many consumers use Ivory bar soap as a facial cleanser. It provides healthier, smoother and more even-looking skin. Also, its versatility makes it an effective laundry soap (just chip soap flakes into the washer) as well as a spot stain remover on your clothes (including delicate items). Ivory bars can even be used for a fun soap carving project with the family! When it comes to motherhood, Ivory (the clean & simple soap) knows that being a mom has become more complex than ever, and that moms are looking for ways to simplify their lives. A 10-pack of Ivory bar soap retails for around $4.49 (bath bar size). My thoughts-I use Ivory. I have been using Ivory for many years now. It is the perfect soft and recommended for anyone who suffers from allergy rashes, etc. It is reasonably priced. I use it to wash my face also. ***Disclosure-I am an Influenster and received a Mom Vox with products to sample and review. These are my honest opinions. Am I Killing My Baby?